This is a guest post from a mentor with coala, an open source tool for linting and fixing code in many different languages, which participated in Google Code-in 2017. Much to our delight, it worked! Well, almost. It had a lot of bugs but we didn’t care much at the time. It was my first Python project and the first time I open sourced my work. I always look back on it as a cool idea, proud that I made it and learned a lot in the process. But the project had been abandoned until John from coala approached me. John suggested we use it for Google Code-in because one of coala’s tasks for the students was to create accounts on a few common coding related websites. 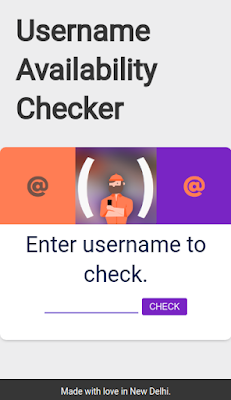 Students could use the username availability tool to find a good single username–people like their usernames to be consistent across websites–and coala could use it to verify that the accounts were created. I had submitted a few patches to coala in the past, so this sounded good to me! The competition clashed with my vacation plans, but I wanted to get involved, so I took the opportunity to become a mentor. The web app is online so you can check username availability too! I had such a fun time working with students in Google Code-in, their enthusiasm and energy was amazing. Special thanks to students Andrew, Nalin, Joshua, and biscuitsnake for all the time and effort you put into the project. You did really useful work and I hope you learned from the experience! I want to thank John for approaching me in the first place and suggesting we use and improve the project. He was an unstoppable force throughout the competition, helping both students and fellow mentors. John even helped me with code reviews to really refine the work students submitted, and help them improve based on the feedback. Kudos to the Google Open Source team for organizing it so well and lowering the barriers of entry to open source for high school students around the world. 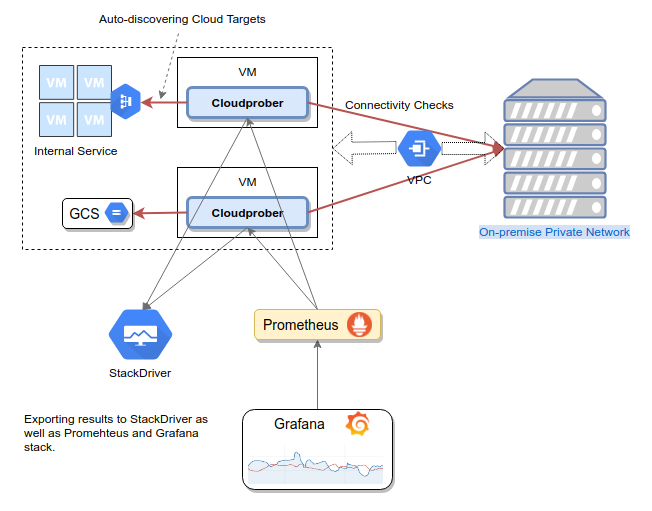 This is a guest post from Liquid Galaxy, one of the organizations that participated in both Google Summer of Code and Google Code-in 2017. 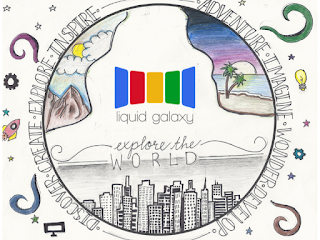 Liquid Galaxy, an open source project that powers panoramic views spanning multiple computers and displays, has been participating in Google Summer of Code (GSoC) since 2011. However, we never applied to participate in Google Code-in (GCI) because we heard stories from other projects about long hours and interrupted holidays in service of mentoring eager young students. That changed in 2017! And, while the stories are true, we have to say it’s also an amazing and worthwhile experience. It was hard for our small project to recruit the number of mentors needed. Thankfully, our GSoC mentors stepped up, as did many former GSoC students. We even had forward thinking students who were interested in participating in GSoC 2018 volunteer to mentor! While it was challenging, our team of mentors helped us have a nearly flawless GCI experience. The Google Open Source team only had to nudge us once, when a student’s task had been pending review for more than 36 hours. We’re pretty happy with that considering we had nearly 500 tasks completed over the 50 days of the contest. More important than our experience, though, is the student experience. We learned a lot, seeing how they chose tasks, the attention to detail some of them put into their work, and the level of interaction between the students and the mentors. Considering these were young students, ranging in age from 13 to 17, they far exceeded our expectations. There was one piece of advice the Google Open Source team gave us that we didn’t understand as GCI newbies: have a large number of tasks ready from day one, and leave some unpublished until the halfway point. That ended up being key, it ensured we had enough tasks for the initial flood of students and some in reserve for the second flood around the holidays. Our team of mentors worked hard from the moment we were accepted into GCI to the moment we began to create over 150 tasks in five different categories. Students seemed to think we did a good job and told us they enjoyed the variety of tasks and level of difficulty. We’re glad we finally participated in Google Code-in and we’ll definitely be applying next time! You can learn more about the project and the students who worked with us on our blog.